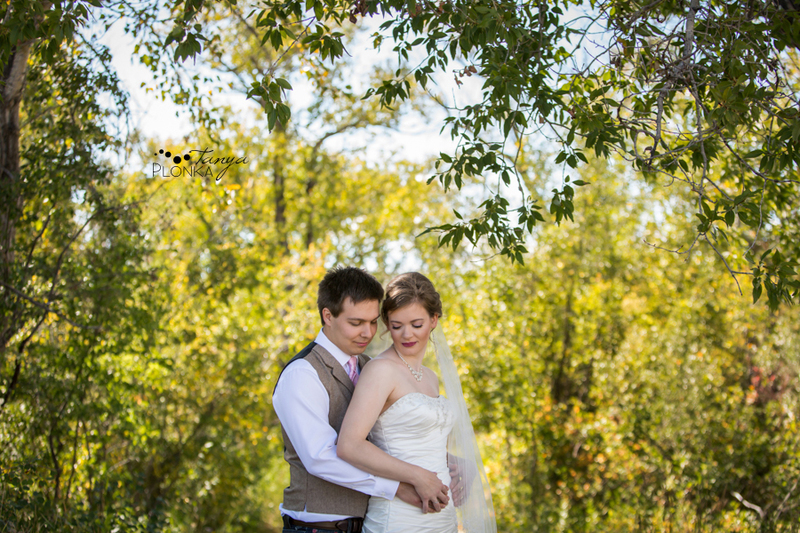 I had a wonderful time working with Maxinne and GJ just after their ceremony for their Fort Macleod autumn bridal portraits. They chose such a beautiful day to get married and we couldn’t have asked for better weather! Maxinne wore a stunning lace dress with long train and ivory coloured veil. Their dusty rose scheme popped out so amazing against the warm fall colours. I’ve had the pleasure of working with a little more than half of their group before and it was a treat to meet the new additions! They are so much fun and always spend most of our time together joking and laughing. GJ and Maxinne are such a romantic couple and have found a perfect match in each other. 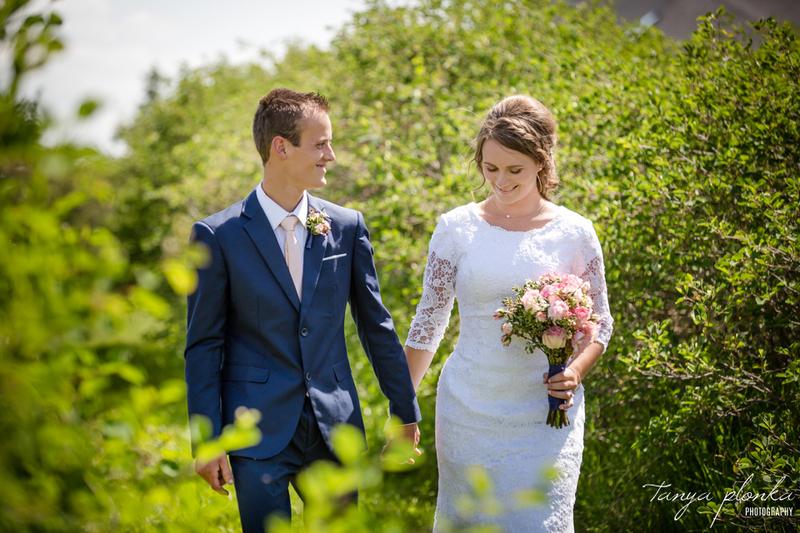 Morgan and Cameron travelled south to Morgan’s family acreage to hold their Fort Macleod backyard wedding ceremony. 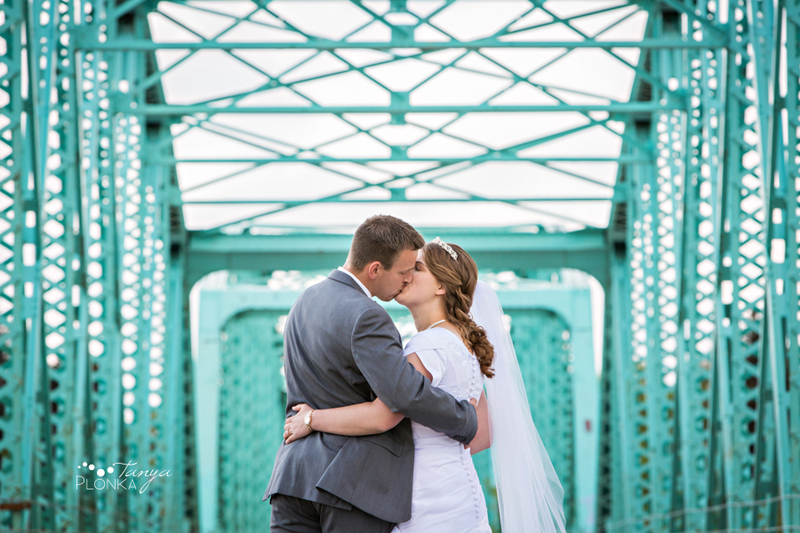 Their perfect sunny day really made the cotton candy pink and blue color scheme pop! I loved how they mix and matched the colors throughout the wedding party and their children, with their daughter lucky enough to get the most colorful poofy dress that was a mix of both. They kept their wedding very small with immediate family, which made the day so special and intimate. Their DIY touches were put together so well… Morgan made the bouquets and flower girl dress herself! After all the years their relationship goes back, the deep intimacy and comfort they share together was obvious. 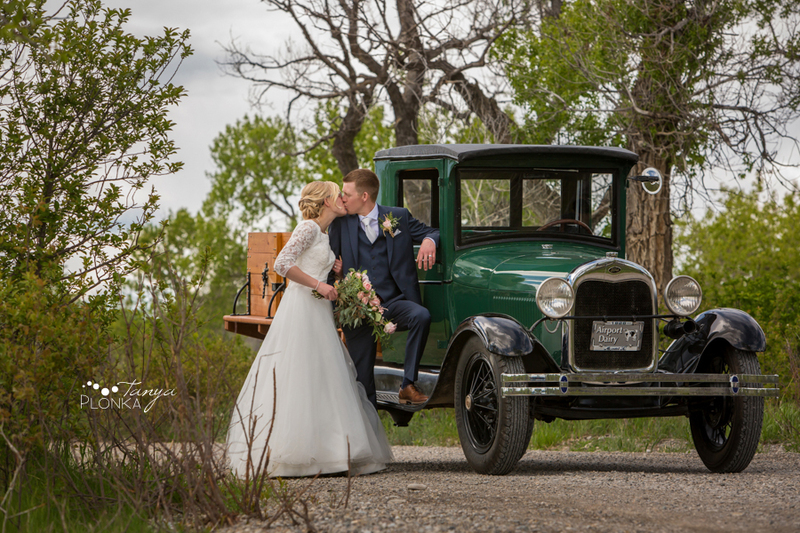 After an entire day of torrential downpour, the clouds cleared and left behind gorgeous, lush green colors for Kari and Henry’s Fort Macleod spring wedding! 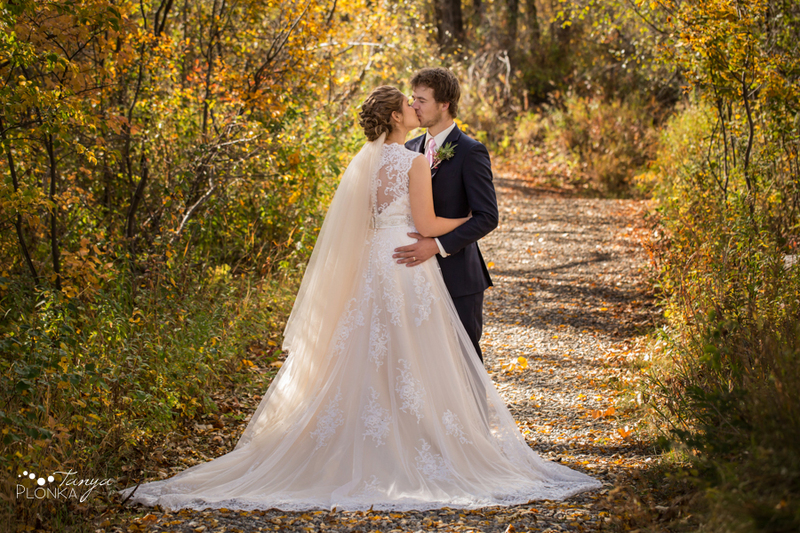 We met up with the couple for their first look in the Fort Macleod Wilderness Park, where Henry couldn’t stop smiling hearing Kari approaching him. Once they had a few extremely happy moments alone, we went down by the river and the landmark green bridge with their wedding party (with their family helping out controlling traffic!). After family photos in the park and their early afternoon ceremony, we met back up with them at the Galt Museum for the rest of their photos. 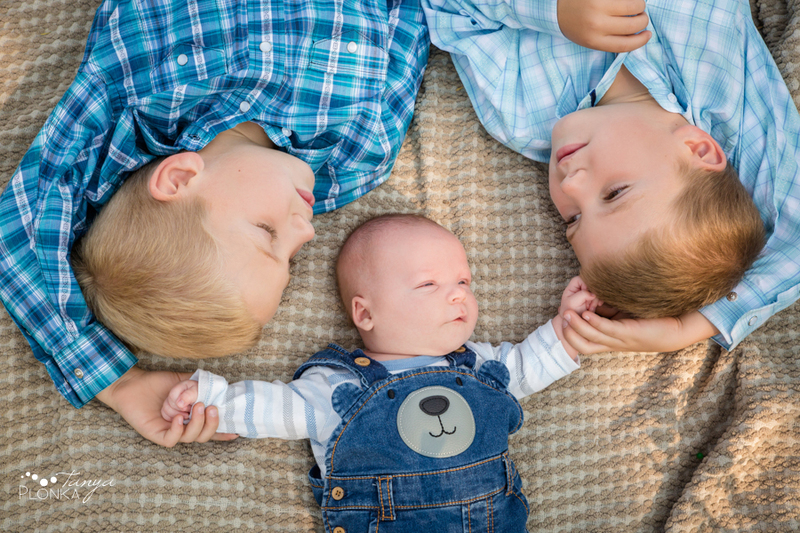 They are so happy together and their friends seemed absolutely excited for them, making our job so easy!